Carlotta chose a sterling silver bead bracelet with a heart tag, tiffany blue coloured on one side and with the classic "Return to Tiffany" engraving on the other. While Rosa took the beautiful light blue YSL Arty Oval Ring that you can also see in the photos below. Carlotta, da Tiffany, ha scelto un braccialetto in argento con un cuoricino che da un lato è azzurro tiffany mentre dall'altro lato ha la classica incisione "Return to Tiffany". Rosa invece da YSL ha preso il bellissimo Arty Oval Ring con la pietra azzurra che potete vedere anche nelle foto qui sotto. WOW!!!! Mi piacciono entrambi!! Brave, ottima scelta! Adoro adoro...sia il braccialetto che l'anello...ma quanto li avete pagati?????????? Wow the ring is awesome :) really pretty!! 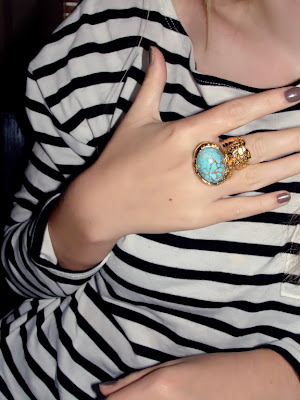 I love the YSL ring!!! 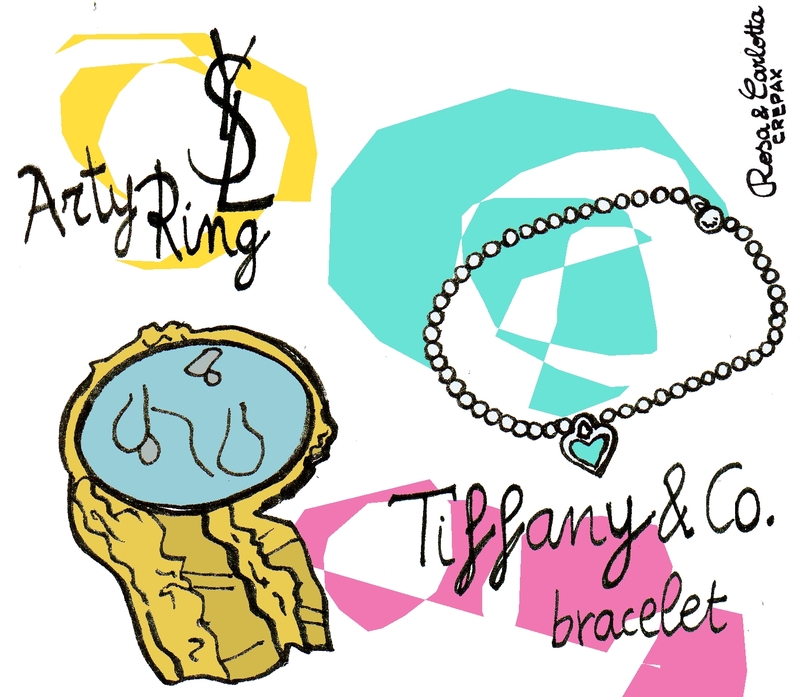 your tiffany's bracelet is so fabulous!!! and i love all things turquoise. wow che bellii! quanto shopping favoloso! 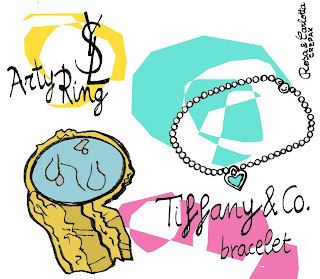 inutile dire che amo alla follia tiffany, questo bracciale deve essere nuovo!! omg!! i want that YSL ring so bad!!! love it!!!! 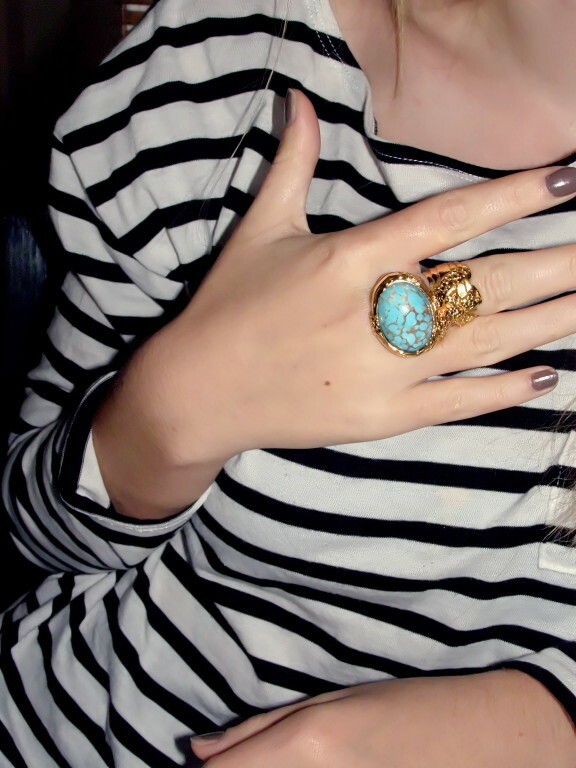 I love the YSL ring - I picked it up earlier this year and it's still my favorite piece of jewelry. I LOVE, LOVE, LOVE that YSL ring. One of my favorites. Thanks for commenting on my blog. Glad to find yours, too! xoxo.